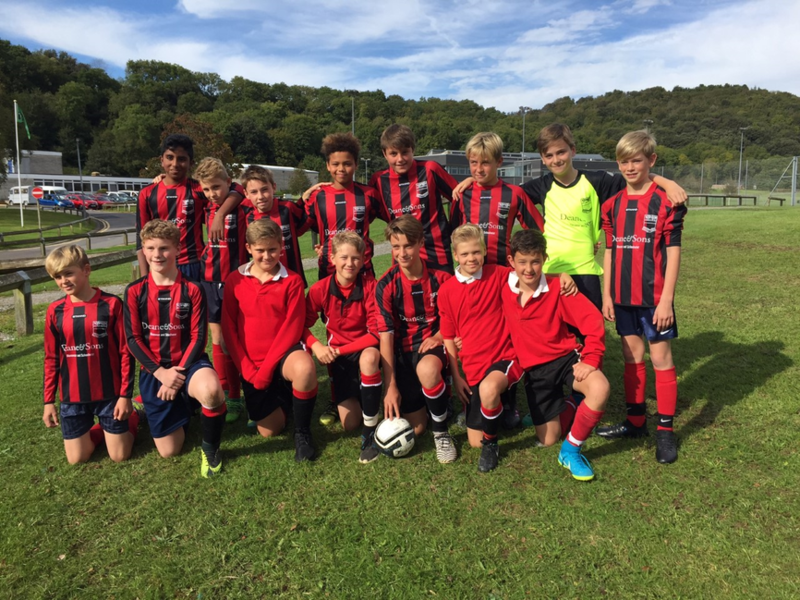 Hugh Sexey were drawn against Clevedon School AWAY for the first round of the ESFA Cup Match. We arrived at Clevedon with the boys wearing a brand new very smart kit (see photo below). Hugh Sexey's started the match very brightly and hit the post in the first few minutes. Suddenly Clevedon then came back and scored two goals out of nowhere. George Nuttycombe then scored a well taken goal for Hugh Sexey's; we kept the pressure on to score an equaliser, but just simply couldn't find the net. Clevedon won the game 2-1. Special mention to Harvey Pearn for a great debut in the Nationals, playing as centre back. All the boys were fabulous and played some really smart football. Well done lads, keep up the good work in training and keep enjoying your school football.